Ranch Dog shared this video with me and it's worth the watch. I've ordered the Storm Mountain tool as a result. Good video Those slugs had a crazy flight path, I think they were tumbling. I would have liked to have seen that video with him using Lee 7/8 oz slugs. 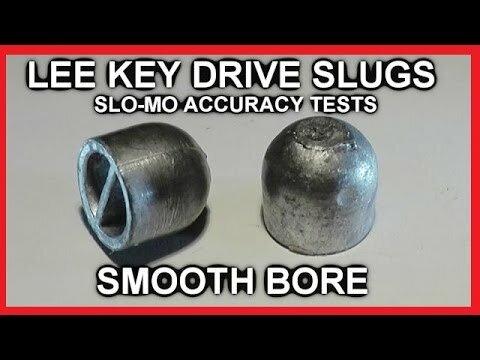 I've very much been enjoying the slow motion work that Jeff (Taofledermaus) has been doing proving out and or discrediting "The Conventional Wisdom" regarding all manner of shotgun loading's. Infinitely more interesting than sitting on the couch watching the mindless Pablum offered by the TV networks! "To compel a man to subsidize with his taxes, the propagation of ideas which he disbelieves and abhors, is sinful and tyrannical." It would be interesting to see these slugs seated with a true roll crimp to control the ignition and pressure. IMO, based on thousands of shot reloads, just slipping them into the wad will not give the ignition uniformity needed for maximum accuracy. Shot loads will show differences in performance if one or more of the folds in a crimp is split, which reduces load pressures. Last edited by Rockydog; 10-25-2018, 07:28.